Ryan Thayer is your typical high school outcast: mocked, bullied, and constantly in trouble. But when he sees a girl in a house that has been abandoned for years and follows her through a mysterious gateway, he finds himself in a strange world. It is a world fighting an age-old war which has powerful implications, not only for this new land, but for Ryan’s home as well. Forced to choose between returning home and joining the battle, Ryan decides to fight, knowing that his world’s fate hangs in the balance. He is whisked off to join the Cadyii in their mountain stronghold of Avengarde. There, along with a few new friends, Ryan is taught to use a magical power known as spectra, trained in the art of battle, and even given a magical weapon. But all is not as it seems at Avengarde. The keep has the constant buzz of secrecy around it. 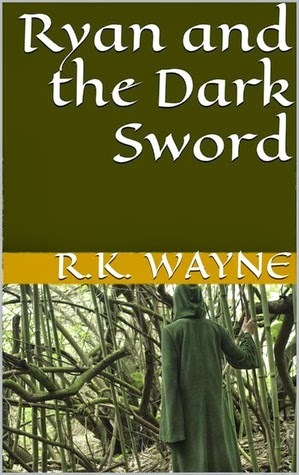 And then there is the matter of Ryan’s sword, whose tainted, black blade may be hiding a dark past. As Ryan struggles through grueling lessons and a teacher who wants to kill him, Ryan has to figure out just what sort of secrets this new world – and his sword – really hold. When I found out that Ryan, a fifteen year old got picked on because of a white streak he has in his hair I felt an immediate connection. From the time I was sixteen I had a “skunk stripe” in my hair. Back then I had my hair frosted in order to help it blend in. It was a hereditary thing. I had kids tease me about it, but not to the extreme that Ryan was picked on. Because of all of the picking and bullying he decides to get back at them. Just like usually happens, the ones picking on him didn’t get caught, but he did. His parents ground him. He is not allowed to do anything. You know how hard that is for a kid. He ends up sneaking into an old abandoned house and enters another world. 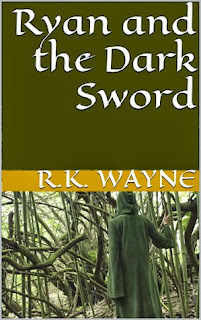 In the new world Ryan joins forces with his new friends to save the world. He starts training with them and we see him grow into a young man who is more mature. He is a great role model for the way we want our children to grow up. I look forward to reading the next book in this series. I think a lot of my students, especially those who love fantasy will grab this book right up.